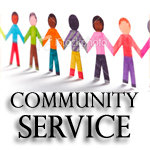 If you or someone you know needs to fulfill community service hours - Swim for MS! Swim for MS is a "virtual volunteer opportunity" – this means that you contribute as much time as you can – when you can! If you haven't already done so, register online here at SwimForMS.org. 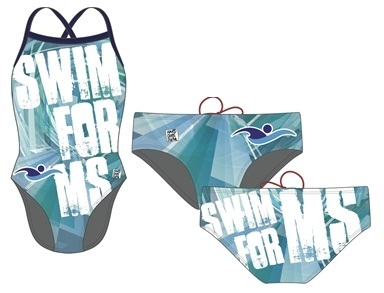 MSAA has partnered with HARDCORESWIM to provide exclusive Swim for MS swimsuits available for purchase. HARDCORESWIM is an authentic and innovative designer, marketer and distributor of premium quality young men's and young women's swimsuits, training gear, clothing, accessories and related products under the HARDCORESWIM name. HARDCORESWIM is based in Southern California and all items, from start to finish, are produced in California. There are two different Swim for MS style suits are available for men and women! Check out the Swim for MS page on their site and order your suit today! Congratulations Julia, for being the top Swim for MS fundraiser during the month of May! Congratulations Kara, for winning a Swim for MS swimsuit, designed and made by HARDCORESWIM! The Multiple Sclerosis Association of America is a national nonprofit organization and leading resource for the entire MS community, improving lives today through vital services and support. MSAA provides free programs and services, such as: a toll-free Helpline; award-winning publications including a magazine, The Motivator; website featuring educational videos and research updates; S.E.A.R.C.H.™ program to assist the MS community with learning about different treatment choices; a mobile phone app, My MS Manager™; a resource database, My MS Resource Locator; equipment distribution ranging from grab bars to wheelchairs; cooling accessories for heat-sensitive individuals; educational events and activities; MRI funding and insurance advocacy; and more. For additional information, please visit http://www.mymsaa.org or call (800) 532-7667.